In fifteen years from now endurance athletes will no longer fuel themselves with pasta, bread and rice before a race, but with pumpkin soup. Or they’ll use supplements containing a pumpkin extract. We base these bold predictions on an animal study carried out by researchers at Providence University in Taiwan, and recently published in Molecules. 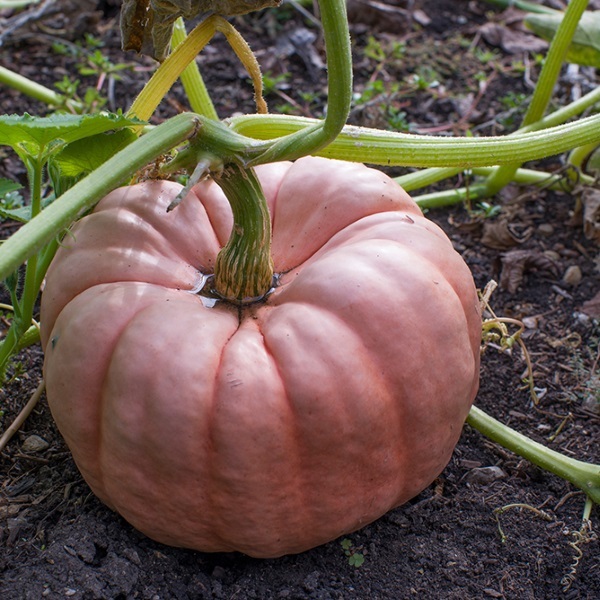 According to this study, the pumpkin cultivars belonging to Cucurbita moschata have ergogenic properties that would make any self-respecting product developer of endurance sports supplements drool. Although people have been eating pumpkin for thousands of years, little is known about its health promoting effects. But thanks to Japanese research, we know that it does have health promoting qualities. [Biosci Biotechnol Biochem. 2009 May; 73(5): 1033-41.] Pumpkin not only contains alpha and gamma tocopherol,eta-carotene, cryptoxanthin, lutein and zeaxanthin; it also contains relatively high amounts of nicotinic acid and trigonellin [structural formulas shown above, right and left respectively]. These substances improve the muscle cells’ glucose uptake. Pumpkin interacts with insulin it would seem. Korean researchers also discovered another substance in pumpkin, the secondary metabolite dehydrodiconiferyl-alcohol [structural formula shown below], which sabotages fat cells’ glucose uptake. [J Biol Chem. 2012 Mar 16; 287(12): 8839-51.] Test tube studies have shown that dehydrodiconiferyl alcohol inhibits the production of PPAR-gamma in fat cells. Pumpkin boosts endurance capacity and muscle strength Going by the results from these previous studies, the Taiwanese suspected that pumpkin might have a performance enhancing effect. So they made an alcohol extract from the dried and deseeded flesh of Cucurbita moschata and gave it to mice. The animals were given 0, 50, 100 or 250 mg extract per kg bodyweight every day for 14 days. At the end of this period the researchers tested the muscle strength in the mice’s front paws using a grip strength test. They measured the amount of strength the animals were capable of using to grip onto a metal pipe. The pumpkin supplementation made the animals stronger, as the figure below shows. The researchers also measured the animals’ endurance capacity. They tied a weight to the tail of each animal, threw them in an aquarium and timed how long the mice were able to swim for. The researchers observed that pumpkin improved the animals’ endurance capacity. A clue as to how the pumpkin extract works is given by the concentration of ammonia [NH3] and glucose in the mice’s blood. While resting the pumpkin had no effect [below left], but immediately after the swimming session the Taiwanese noticed that the mice that had been given pumpkin extract had less ammonia and more glucose in their blood [below right]. When resting, the muscles [above left] and the liver [above right] of the mice that had been given pumpkin extract had more glycogen. Molecules. 2012 Oct 9; 17(10): 11864-76.